Manasota ASALH’s 2018-2019 Scholarship Applications are now available. *IMPORTANT** All applications MUST BE submitted in .PDF format through email to brice51@aol.com by 02/15/2019. We encourage all qualified individuals to apply. If you are interested in learning more about Manasota ASALH and our Scholarship Program and past recipients you may CLICK HERE for complete details. The Association for the Study of African American Life and History awarded scholarships to Manatee and Sarasota high school students May 26 at the Family Heritage House Museum at the State College of Florida. Requirements included academic achievement, community service, extracurricular activities and a personal interview. Individual awards ranged from $1,000 to $2,500 and totaled roughly $33,000 for the 2017-18 academic year. Scholarship winners were Marc Brunot, Bayshore High School; Maya Cantley, Booker High School; Avia Davis, Booker High School; Tyrese Galloway, State College of Florida; Caroline Jean-Marie, Venice High School; Letherio Jones, Saint Stephen’s Episcopal School; Odane Lennox, Booker High School; Katonia Montgomery, Bayshore High School; Taylor Pitts, Suncoast PolyTechnical High School; Emerson Robbins, Riverview High School; Melissa Roberts, Booker High School; Kayla Shelley, Pine View School; Da’Quon Tirene,Booker High School; Maurice Victor, Pine View School; Brenna Wallace, Manatee High School; Marquia Walker, Southeast High School; Kiarra Womack, Out of Door Academy; Tanisha Woods, Bayshore High School; and Zaire Yancy, State College of Florida. The event speaker was Sebastian Wright, a former Booker High School graduate and ASALH scholarship recipient who works with Gartner, a leading IT research and advisory firm. ASALH was founded by late historian Carter G. Woodson, who established Black HistoryMonth. The scholarships are mainly funded by the annual Randy Rankin Scholarship Golf Classic and contributions from supporters of ASALH Manasota, among others. The Manasota ASALH Scholarship committee includes Bernadine Rice, chairwoman, Helen Baker-Bundles, Joan Byrd, Garvey Clarke, Eleanor Merritt Darlington, Geraldine Gibbs, Kate Harris, Vivian Johnson, Leslie Porter, Caryl Sheffield and Enid Stewart. Dr. James Stewart is President of ASALHManasota. 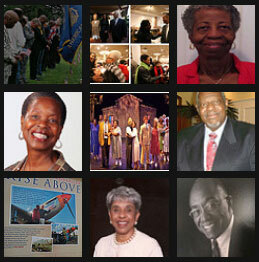 The Association for the Study of African American Life and History awarded scholarships ranging from $1,000 to $2,500. The recipients gathered May 26 for a ceremony at the Family Heritage House Museum at the State College of Florida.